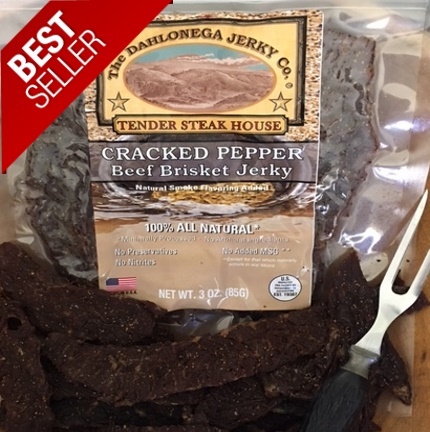 Dahlonega Jerky Co. Tender Steakhouse jerky (3 oz)* – we’ll send Black Pepper Brisket (or choose our Teriyaki or Sweet & Spicy Brisket jerky). 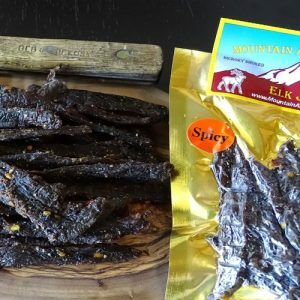 Dahlonega Pure Gold Hot Sauce gift set – (3.5 oz) – the “medium-hot” Jamaican Jerk flavor and the “very hot” Dragon Breath flavor. Moonshine Peanuts (3.5 oz ) – peanuts roasted in a moonshine, habanero and sugar blend. 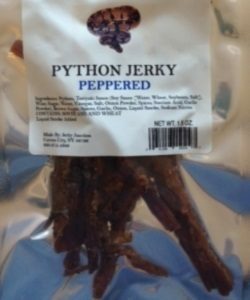 A bit sweet with a bit of heat, these are addicting! 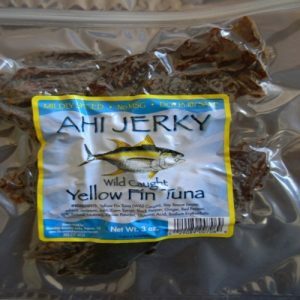 Ahi Tuna Jerky is naturally high in protein and low in fat. Flavor – Sushi grade, wild caught Yellow Fin Ahi Tuna. Soy sauce, ginger and a bit of spice. Spicy level mild.